What should a retirement plan sponsor do if it discovers that it has overpaid benefits to a retiree or other former employee? The question has recently arisen in the case of the pension plan of Pontiac, Michigan, which accidentally overpaid many of its retirees an average of $1,000 over a 16-month period. Historically, many pension fund trustees have believed that they were required as a fiduciary matter to seek repayment of the overpayments, plus interest, from the retirees. However, such repayments may cause a substantial financial hardship to retirees, particularly older retirees. In some instances, the expenses of collection can exceed the amount the fund is able to collect. And for a governmental entity, which is always in the public eye, seeking repayments from retirees based on a mistake not of their doing may generate public disapproval. The Internal Revenue Service (“IRS”) has recently issued Revenue Procedure 2015-27, which requests comments on recoupment of overpayments, and provides some interim alternatives for plans. It gives two possible alternatives: retroactively amending the plan to conform to the way it was actually operated, or having the employer make up the overpayments. In either case, the correction itself must of course be permissible under the tax qualification rules applicable to retirement plans. The new rules are effective July 1, 2015. However, plans can choose to apply them as early as March 27, 2015. These options may be particularly valuable for governmental plans. A governmental plan has considerable flexibility in structuring benefits, unlike a private corporation’s plan which is limited in the benefits it can provide to the top employees. Thus, a private corporation’s plan which overpaid top employees could not correct the situation by a retroactive plan amendment, but such a remedy could potentially be available in the case of a governmental plan. However, governmental plan trustees will need to consider carefully how to respond to an overpayment situation. In some instances, a plan amendment may require action of a legislature, which may be hard or impossible to obtain in a timely manner. The plan trustee may well have no way to compel an employer to repay overpayments, if it is unwilling to do so. Finally, it should be borne in mind that overpayments are not just a concern of the retirees, but also of the IRS. Overpayments may jeopardize the tax qualification of the plan. 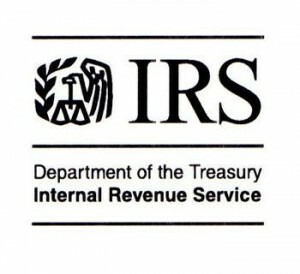 Depending on the size of the error, and how quickly it is discovered, the plan may need to file with the IRS and pay a penalty in order to avoid plan disqualification.